Molded pulp is growing popularity in international market and is wide spread in domestic market. 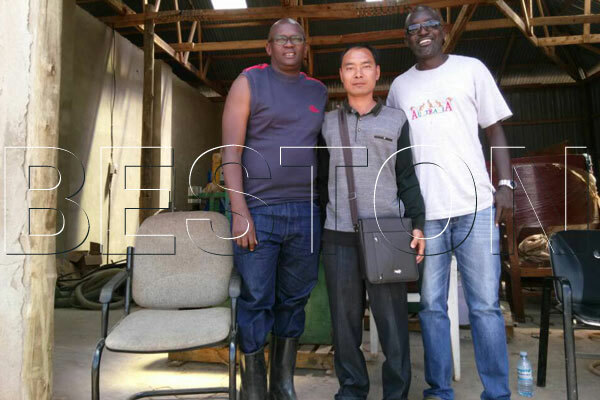 Many countries confirm it as the important promotion project. With the development of economy and the expand of commodity circulation, molded pulp will have more extensive prospect and stronger vitality. 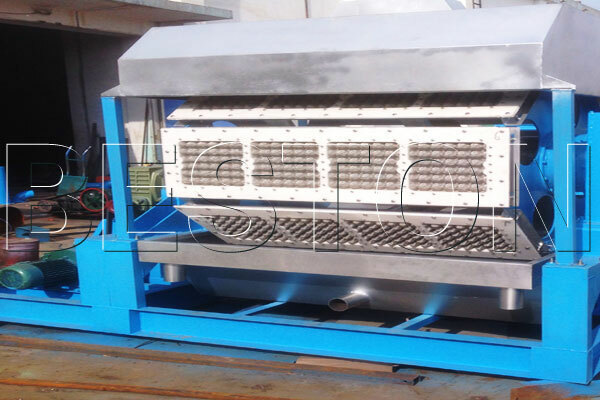 The egg tray production line is the main equipment for molded pulp. 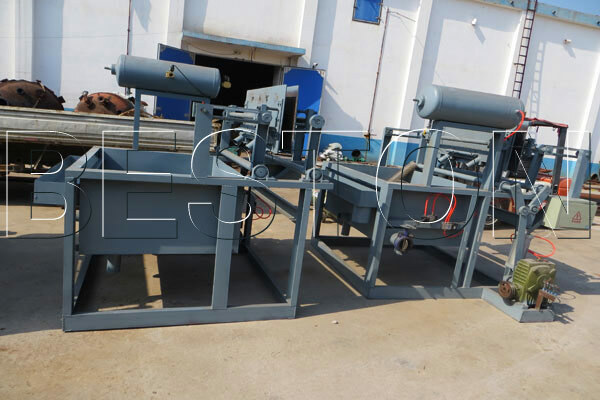 The egg trays production line includes three working systems: pulping system, forming system and drying system. 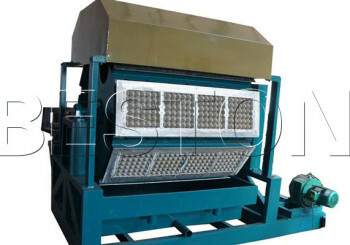 The egg tray production process is raw materials pulping – ingredients – mold forming –drying– packing. 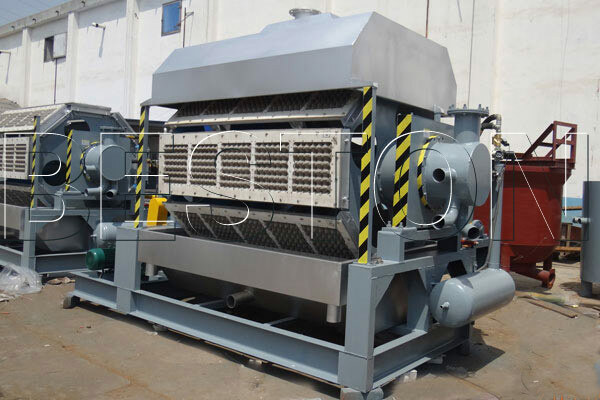 There are automatic egg tray making machine and semi-automatic egg tray machine. 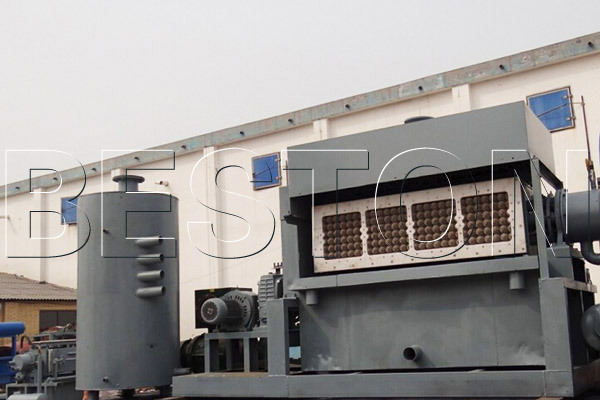 The automatic machine has automatic dryer which is made of brick with 40-60m. 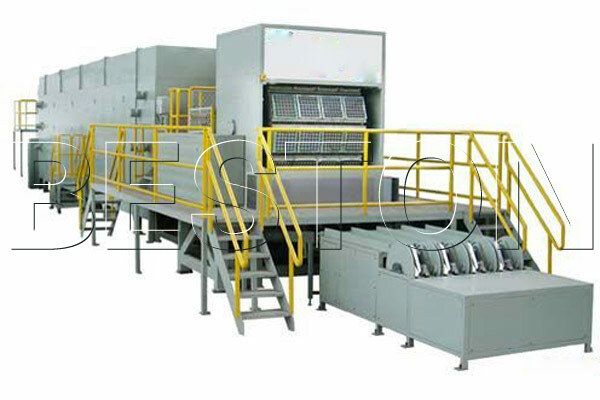 When the amount of egg tray production is above 2000 output per hour, you can choose the automatic machine. 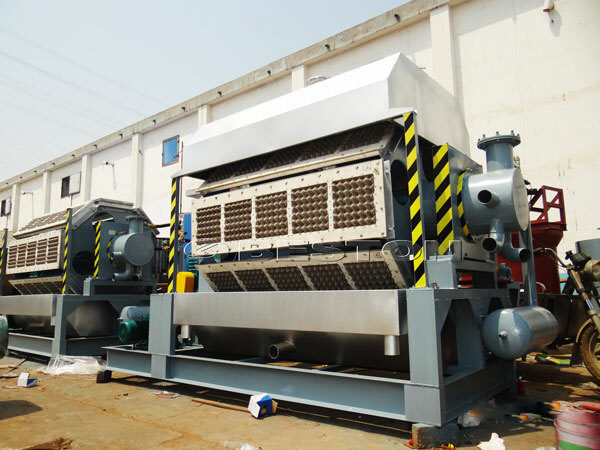 Also, there is metal dryer which has small floor space, easy installation and muti-layer dryer. 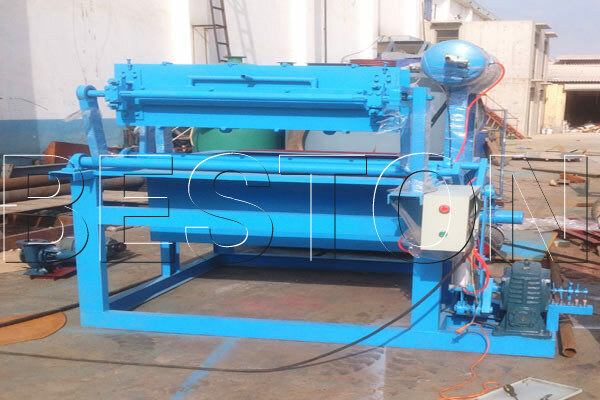 The automatic machine can save labor cost and promote working efficiency. 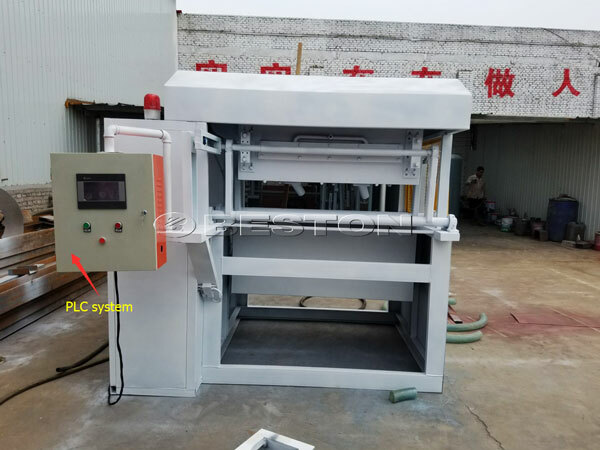 The semi-dryer should use the cart to convey the forming egg tray to the dryer. The egg tray product line is widely used for manufacturing fruit tray, lunch box, tableware, etc. Our pulp molding machinery factory is a large enterprise which specializes in producing of various kinds of paper pulp molding products and equipments. 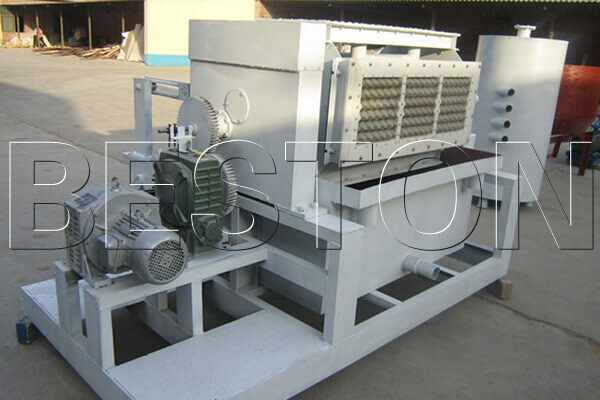 The paper pulp egg tray machinery production line of our company is the most advanced equipment in the current market. 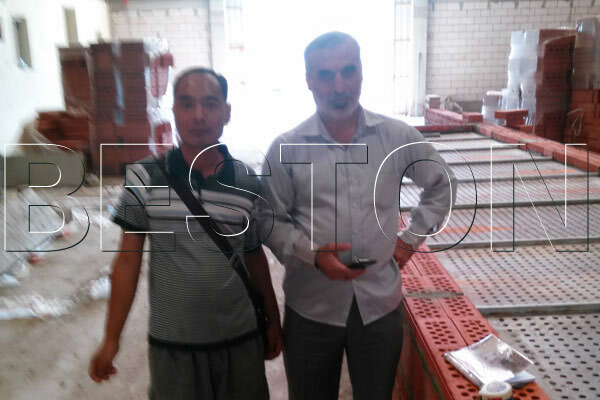 Because we put more financial resource and more professional engineers on the innovation of egg tray production machine. We can not only produce egg tray but also the egg box, bottle tray, paper shoe stretcher, cans and milk box and so on. If you have a demand, don’t hesitate to contact us. The best quality paper egg tray making machine and the best after-sales service are waiting for you! 1.It contributes to the environmental friendly which adopts the waste paper. 2.Egg tray has less volume ratio than plastic foam and the capable of overlap which is convenient for transportation. 3. Its automatic property can save labor cost and promote efficiency. 4. Egg tray can be recycling which saves materials.